The old expression “It’s the thought that counts” could not ring truer than when talking about demonstrating your deep and undying love for your significant other. Of course, everyone loves an extravagant gift from their sweetheart every now and then, but in our everyday lives, the things that really show our care and commitment to our better half are small gestures, most of which cost next to nothing. Romantic surprises will prove that you are willing to put in the time and effort to show them you love them now more than ever. Why not try out one or more of the following romantic surprises which are simple yet thoughtful ideas that will definitely win you major brownie points? Spell it out – Get straight to the point by spelling your love out with anything you know they will enjoy, from cookies or candy, to candles or post-it notes. 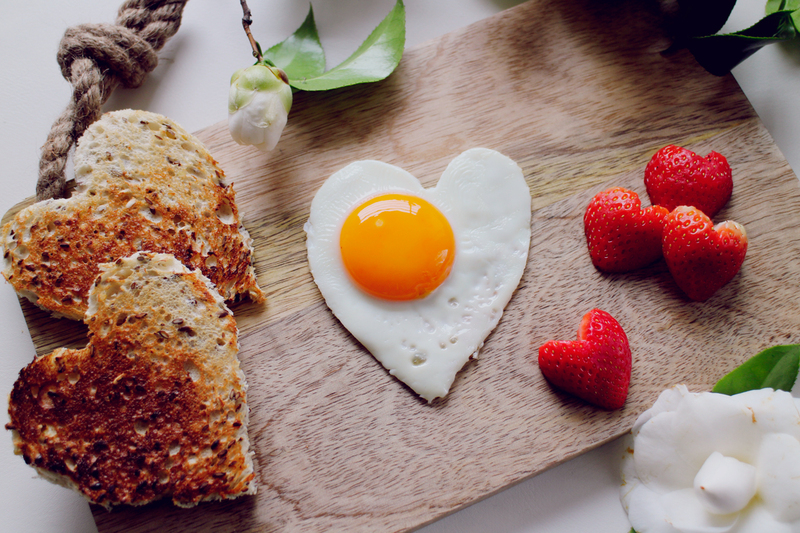 Decorate their food – A sweet and sentimental way to show your love with a romantic surprise is by preparing your sweetie a sandwich, then serving it open-face and decorating it with a heart drawn using their favorite condiment. This could work for pancakes, burgers, you name it. Set a romantic scene before their bath or shower – If you really want to take the romance up a notch, secretly turn the bathroom into a spa getaway with candles, rose petals, a bottle of wine or champagne, etc. Your hard work might even earn you an invite to join in! Leave a paper trail to a surprise – Design your very own grown-up treasure hunt by leaving notes with clues to the next, which ultimately lead to a small gift of your choice (candy, cuddly stuffed animal, bouquet of flowers, book, love letter, etc.). This is more of an elaborate romantic surprise but well worth the effort. Breakfast in bed – This classic romantic surprise is a winner because it shows just how much you care by getting up early, making them a favorite treat, and serving your king or queen like the royalty they are! Write a note before you leave for work – Let your beloved know that he or she is on your mind by telling him/her you are looking forward to seeing him/her when your work day is over. Round up some of their favorite treats – If your better half has been too busy to relax, spoil them with a stockpile of their most treasured treats like favorite magazines, go-to junk foods like chips and candy, or anything else that will help them slow down and enjoy some quiet time. Pack them a lunch and leave a sweet note – Sure, packing your darling a lunch to take with them to face the day is a lovely gesture, but why stop there? Adding a note to express your adoration will definitely brighten their day even more! 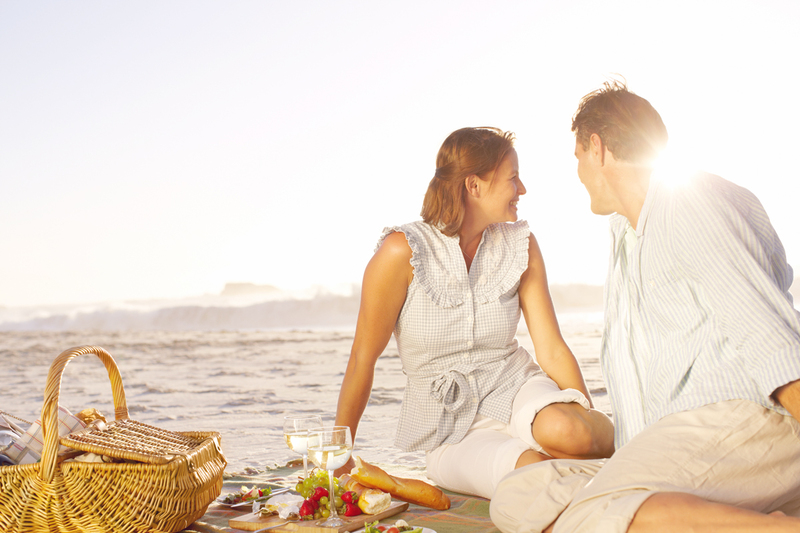 Plan a romantic picnic – Sitting down to a casual meal with your one and only in the great outdoors is a go-to when you want to have a special experience together without breaking the bank. Pack yummy finger foods like fruit, cheese, sandwiches and a bottle of wine. Romantic relationships deserve our full effort, and as this list proves, it can be fun and simple to keep the sparks flying! What are your favorite romantic surprises? Leave your suggestions in the comments box. Next PostCan Men and Women be Friends?